Price was good but box has "Tester not for sale" on it, ring under sprayer say " Tester Demonstration", and there is no cap on the bottle. None of these made this a good choice for a gift or for travel. Didn't have any new ones in this size so I got a tester. Was a very good deal. The tester was pretty close to being full. 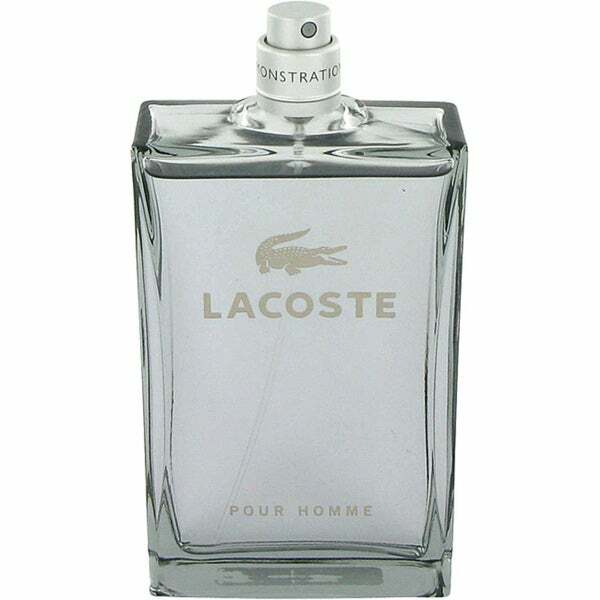 Lacoste pour homme - Its a nice fragrance with base vanilla note. I bought a tester from overstock. It does good job in cold winters. Great smell. I use this for backup. I leave it in my car Incase I ever forget to put something on before. It smells fresh and came in a good size bottle. Great product for me. Was a recommendation from a good friend and boy dies my wife love it this cologne will definitely be added to my rotation. Also great size for the price so if you are into colognes grab this while you can. One of my all time favorites. Smooth yet crisp and not overpowering. I tend to like colognes people are not currently wearing and this always does the trick. Always get complimented on it. Did not have a lid, but I saved $26, so I am happy. Iwould definately suggest to my friends. Smell Good and last Long... Really awesome.. My Honest review... Regards..